Thankfully, Colas Rail have still left 37254 in Inter City livery, the Growler leads the 1Z16 Derby RTC to Cardiff Canton with Network Rail 97303 at Bullo Pill, Lydney on the 3rd January 2016. 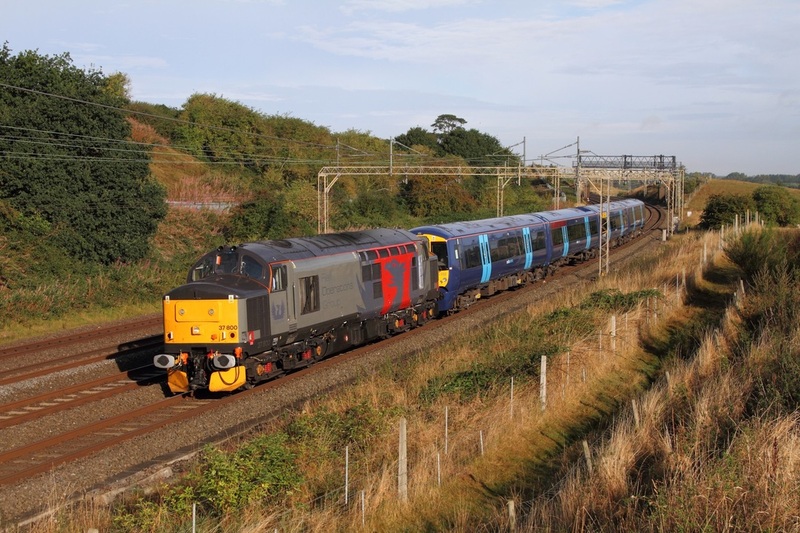 Rail Operations Groups' Europhoenix liveried 37884 powers the 5Q58 04:40 Derby Litchurch Lane to Ramsgate E.M.U.D at Old Linslade on the 3rd September 2016. 37025 hauls the 4B20 Barry to Barry via Bristol Parkway at Bishton on the 11th February 2016. 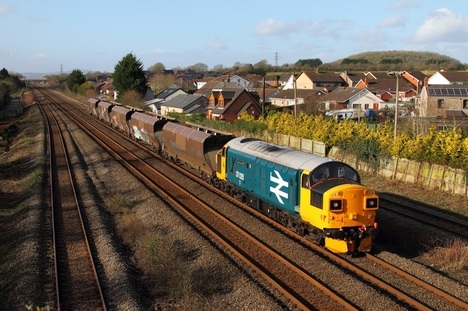 Large Logo 37025 on hire to Colas Rail, leads 5 former Freightliner HHAs as the 4B20 0910 Barry to Barry via Briton Ferry and Swindon East loop at St Georges on the 28th January 2016. 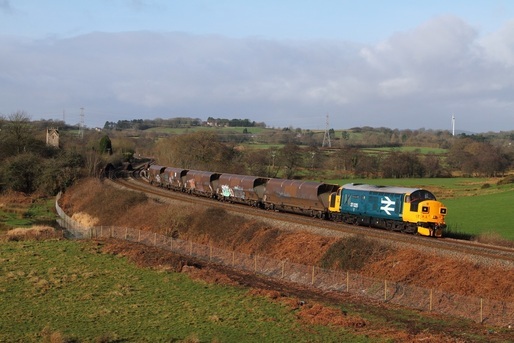 Large Logo 37025 on hire to Colas Rail, leads 5 former Freightliner HHAs as the 4B20 0910 Barry to Barry via Briton Ferry and Swindon East loop over the Bishton Flyover on the 28th January 2016. 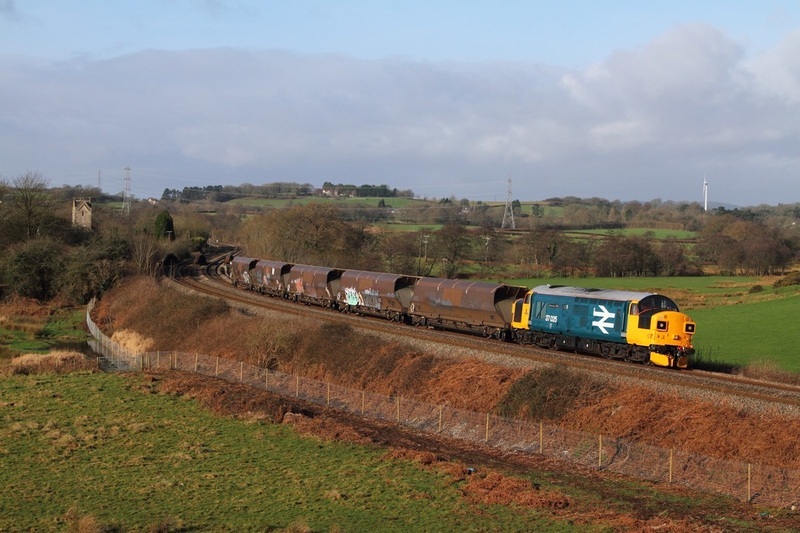 Large Logo 37025 hauling five empty former Freightliner HHAs on the 6B11 13:08 Barry to Barry via Briton Ferry and Pengam training run departing Pencoed loop on the 27th January 2016. 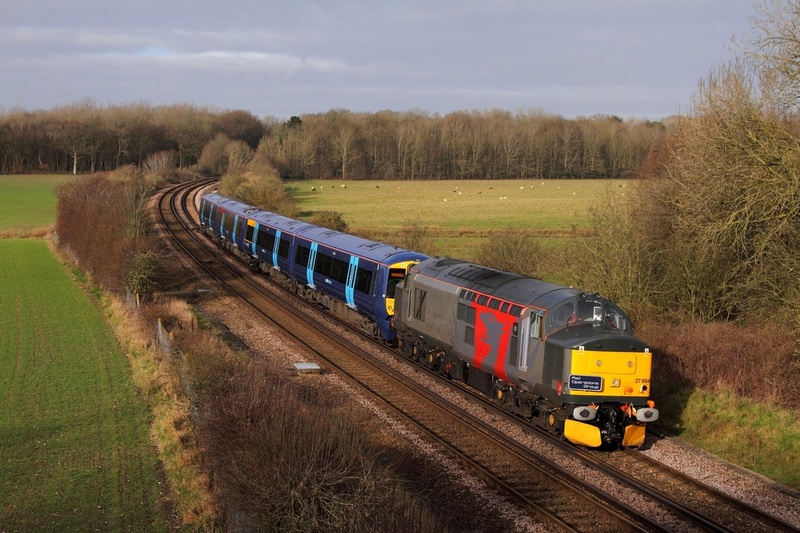 Europhoenix liveried 37884 hauls 375625 the 5Q58 Derby Litchurch Lane to Ramsgate EMUD at Westwell Leacon, Ashford on the 16th January 2016. 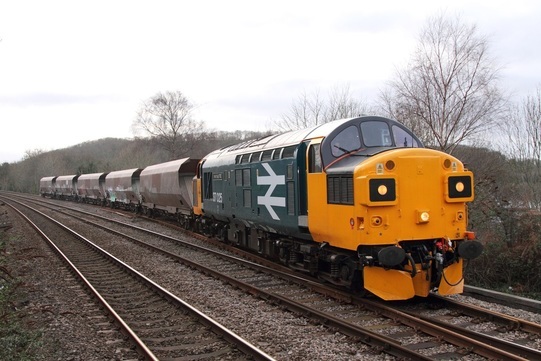 37884 hauling 375624 on the return from Ramsgate back to Derby experienced a brake fault and was kept in Stewards Lane Goods Loop after taking an eternity to make it to Wandsworth Road. 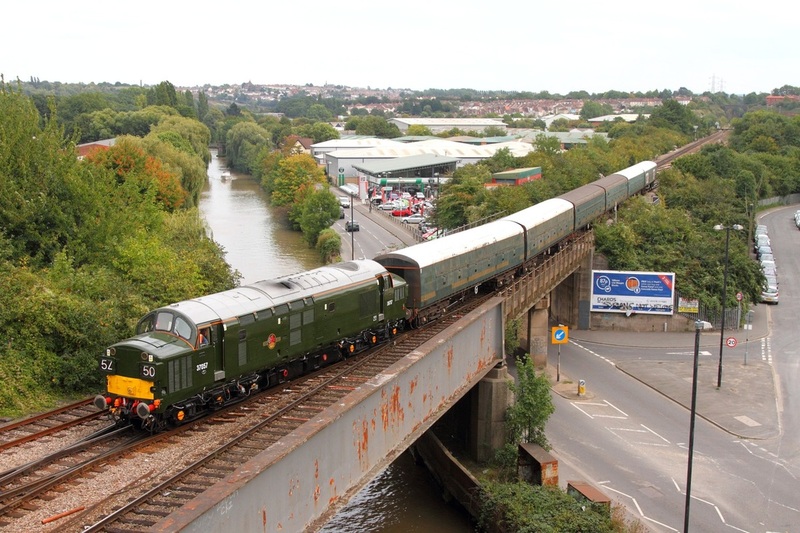 Br Green 37057 powers the 5Z50 Bristol East Depot to Cardiff Canton consisting of six former First Great Western motor-rails at North Somerset junction on the approach to Dr Days junction on the 11th September 2015. 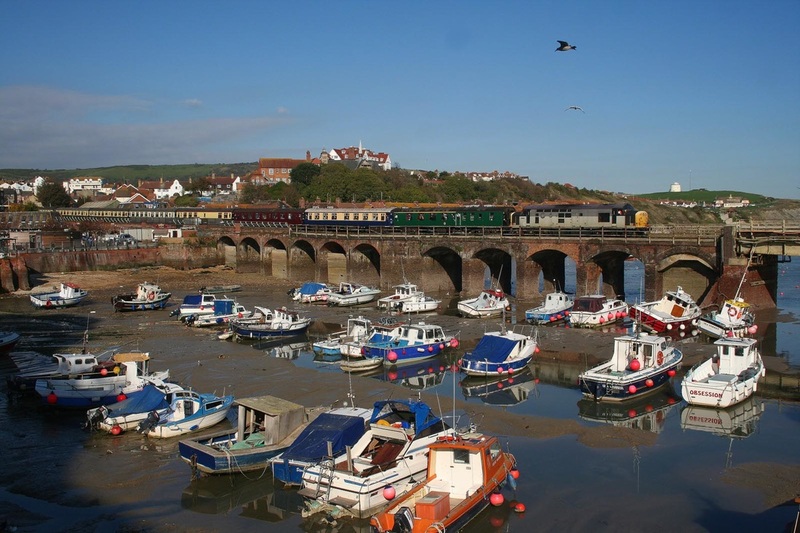 My thoughts today have been with all those who were involved in the tragic events of 9/11. 37670 leads 37401 on the 2072 0909 Bristol Temple Meads to Weymouth at Newton St Loe on the 5th September 2009. 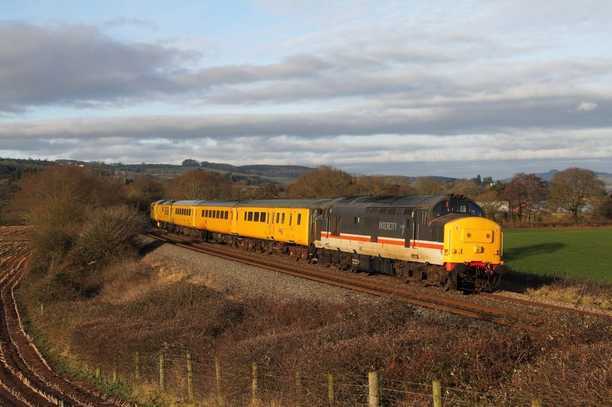 On the 17th October 2009, After several problems occurred yesterday with the ECS for Spitfire railtour's Jorvic Growler, after it ran 221minutes late due to the failure of 47787. 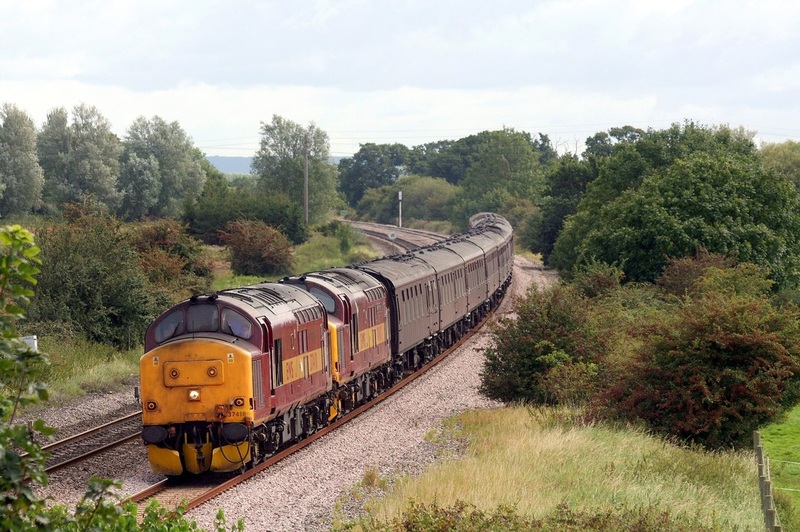 The Jorvic Growler ran from Taunton to York as 1Z64. 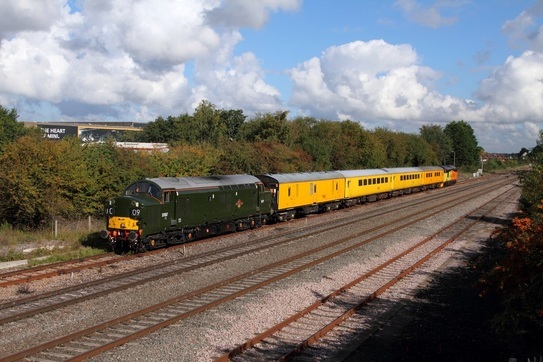 However tour locos, WCRC 37676+37516 experienced problems when 37516 engine kept shutting down at Bristol Parkway. 47851 was despatched from the rear after it took the ECS down yesterday, and placed inside both '37s' and helped power the tour with 37676 to York. 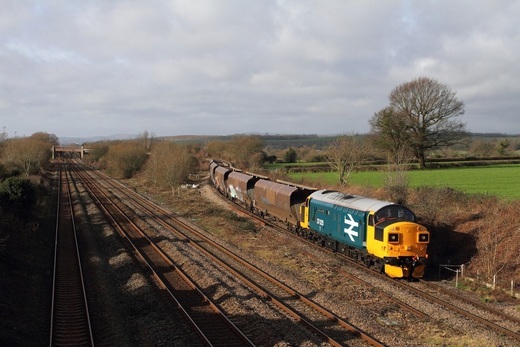 The tour departed Parkway 98minutes late and slightly made up time. 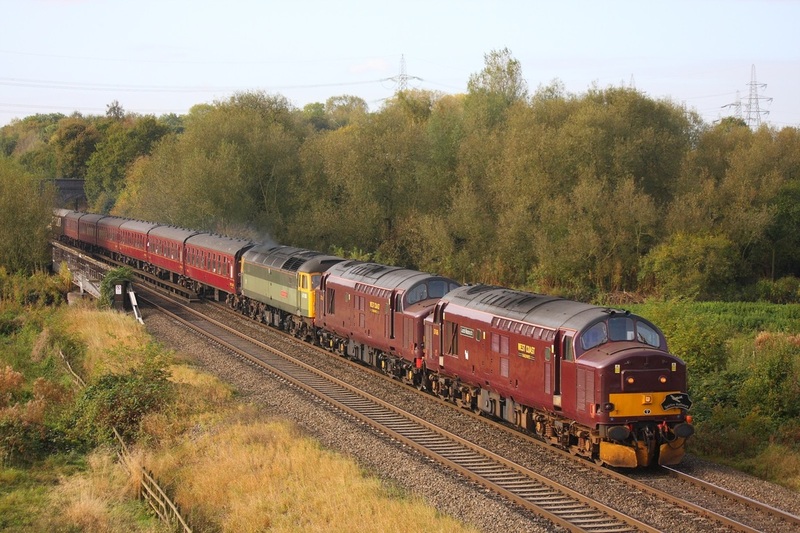 The triple header passes Lea Marston. On the 14th April 2007, 37422 leads 37410 back through Margam with 60038 on the rear with the 1Z74 Onllwyn to Birmingham International 'Principality Freighter' Pathfinder railtour. 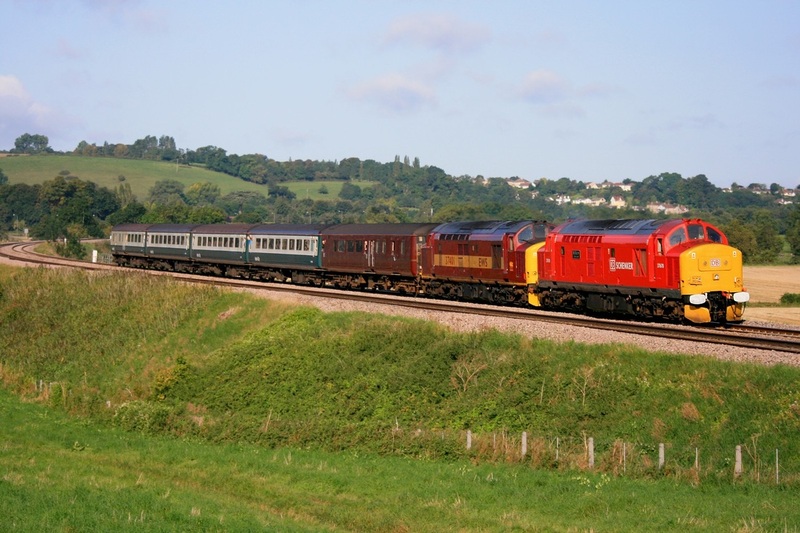 37410 leads 37417 on the 1Z27 Bristol Temple Meads to Kingswear at Creech on the 3rd September 2007. 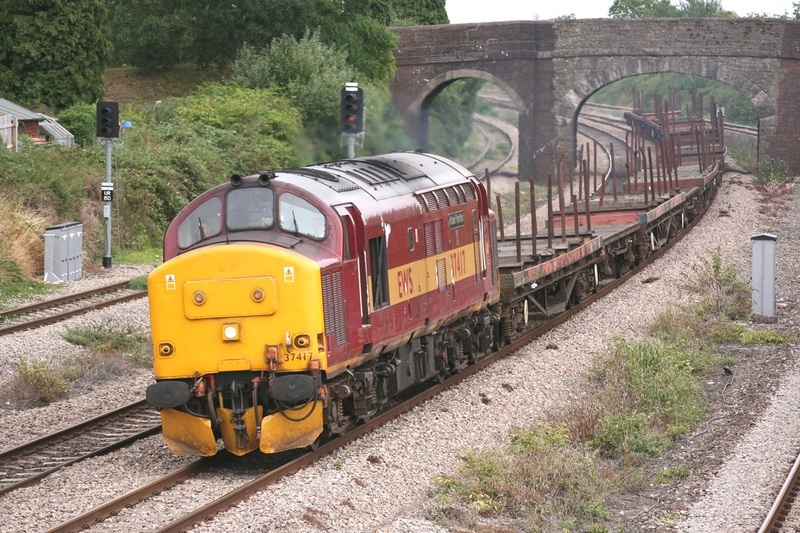 37417 powers the 6C02 Bristol East Depot to Newport A.D.j at Magor on the 7th August 2006. 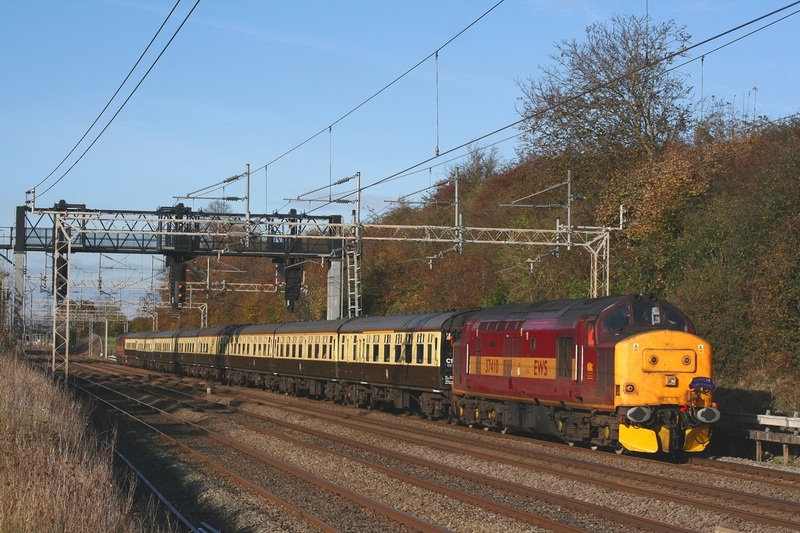 37410 leads 37417 on the 1Z34 10:14 Tring to Barking "Silverlink Swansong" railtour at Bourne End on the 3rd November 2007. 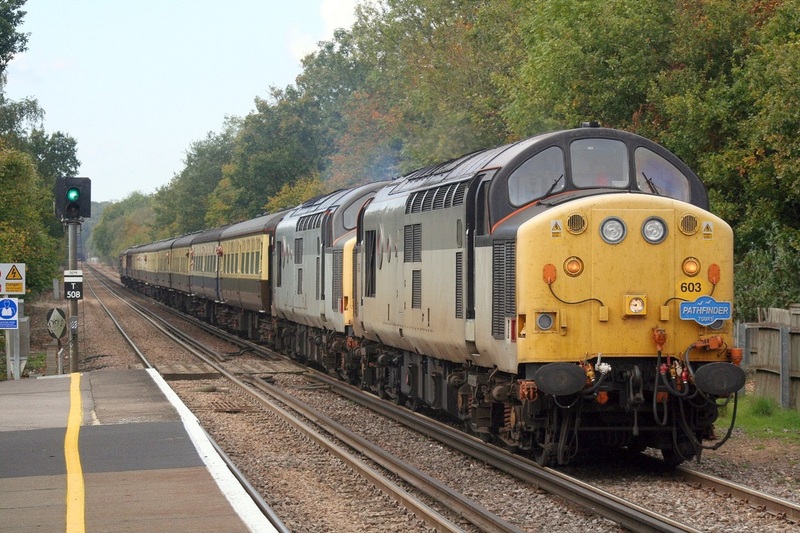 37603 leads 37601 on the 1Z87 0945 London Euston to Folkestone Harbour at Godstone on the 20th October 2007. 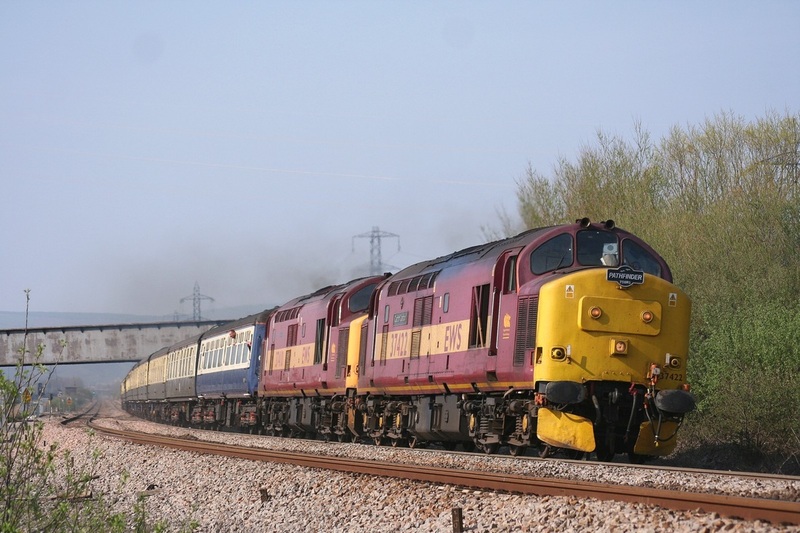 37603 leads 37601 on the 1Z87 0945 London Euston to Folkestone Harbour at Folkestone Harbour on the 20th October 2007. 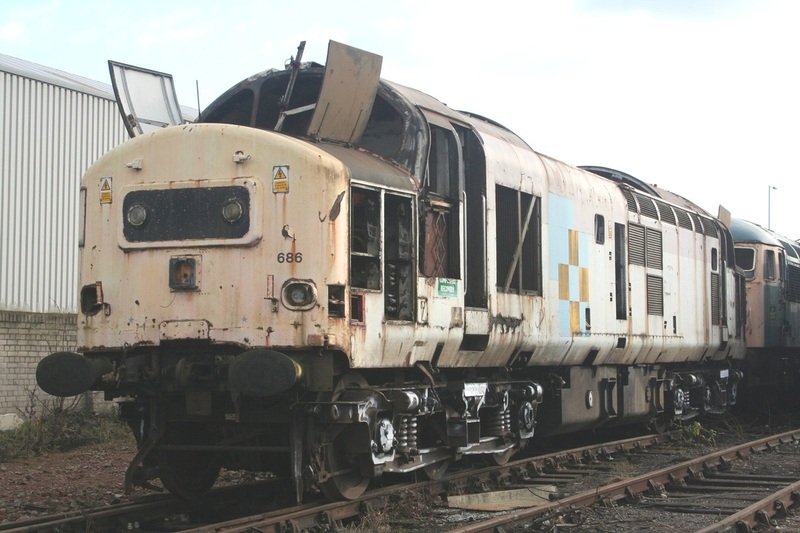 37686 stands in CF Booths Rotherham scrap yard awaiting its fate on the 25th March 2006. 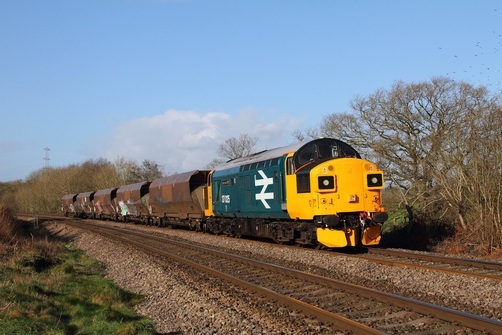 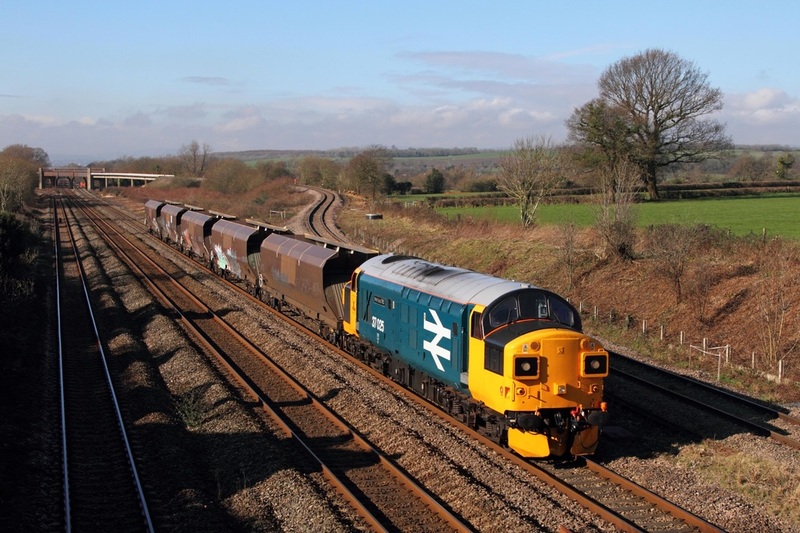 Click here to view some more photographs including 37040 and 37697.